Saturday I attended the concluding session of the Personal Airmanship Development Program seminar held at Skill Aviation. 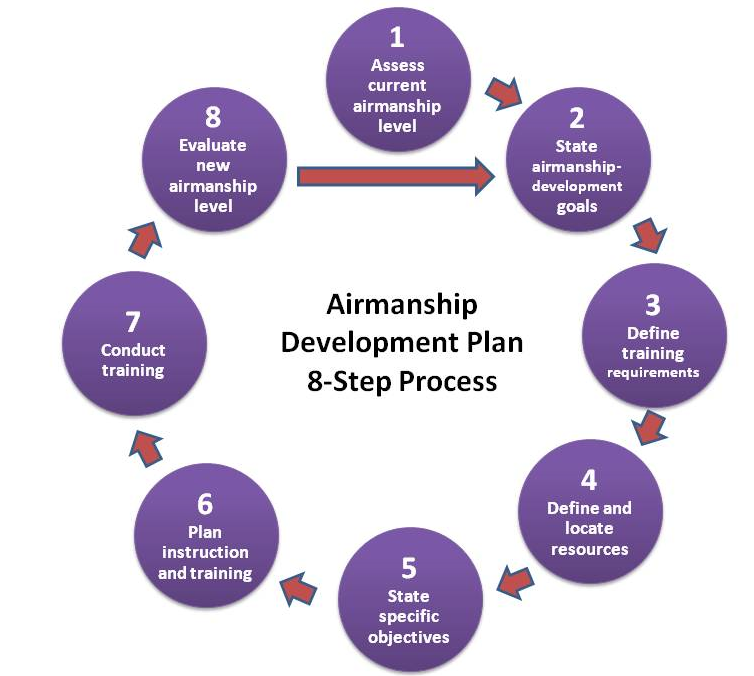 In the first segment of this session, Captain Koch introduced the topics of Safety Management Systems and use of Airmanship Development Support Organizations (ADSOs). Section 2 aircraft systems pilots and aircraft owners can take advantage of the enhance safety. 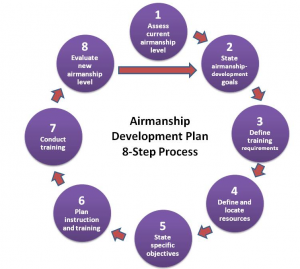 Then, in section 3, we got to the heart of the matter when we learned how to develop a personal airmanship development plan. I am very glad I signed up for this two part seminar and I recommend it to anyone who can attend. The Center For Airmanship Excellence website is a good place to find more information about the seminars and about airmanship excellence in general. If you sign up for “Airmanship Updates” on the front page you will be notified of upcoming events. If you are unable to participate in person, go to the archives page for webinars. So, bottom line, did this seminar change the way I plan to approach my own development as a pilot? Remember Captain Koch’s question? “If you don’t fly right, should you fly at all?” I think we can all agree that the answer is no but, we might have differences about just what “flying right” means. I am now convinced that each of us needs a continuous improvement plan for our aviation activities. The plan presented in this seminar makes good sense to me. Following through the entire process is going to call for a serious commitment to the time and cost that will be required. I have already started on step one of the 8-step process shown in the picture. I sent for my Airmanship Assessment Questionnaire and ordered Dr. Kern’s book Redifining Airmanship to learn more than would be possible in two seminar sessions. Where I go from there is up to me.